This week’s newsletter consists entirely of summaries of several notable talks presented at the Scaling Bitcoin workshop last weekend, since there was very little to report in our usual Action Items, News, and Notable Code Changes sections. We hope to return to our usual format next week. The fifth Scaling Bitcoin conference was held Saturday and Sunday in Tokyo, Japan. In the sections below, we provide brief overviews to some of the talks we think might be most interesting to this newsletter’s readers, but we also recommend watching the complete set of videos provided by the workshop organizers or reading the transcripts provided by Bryan Bishop. For convenience, at the end of each summary we directly link to its video and transcript (and paper, if available). Talks are listed below in the order they appeared in the workshop schedule. Warning: the following summaries may contain errors due to many of the talks describing subjects well beyond the expertise of the summary author. This talk makes an intellectual inquiry into whether Bitcoin pays more for security than it needs to—and what we could do if we decided it does pay too much. The speaker makes clear that he’s interested in considering the questions and providing possible answers but that he’s neither suggesting that there’s a problem nor advocating for any solution. If the Bitcoin userbase did think it was overpaying for security, the talk suggests options for reducing the amount of subsidy paid in the short term as the amount of security increases—but still ensuring that no more than 21 million bitcoins are paid overall in subsidy—potentially allowing the subsidy to last much longer than currently expected. Although the talk was not about a specific proposal, an example proposal it evaluated was to reduce the subsidy by 20% every time the network’s proof of work security doubles (measured by block-creation difficulty). One well-known method for soft forking an increase in the Bitcoin block size is extension blocks—a data structure that’s invisible to nodes that haven’t upgraded to the soft fork and so is not subject to their historic limits on block size. By itself, this is an undesirable method for increasing block size because preventing old nodes from seeing the transactions in the extension block also prevents them from being able to enforce any other consensus rules on those transactions—such as rules that prevent a malicious user from spending other users’ bitcoins or from creating more bitcoins than allowed by the 21 million bitcoin subsidy schedule. Perhaps disproving the saying that “two wrongs don’t make a right,” this talk describes a novel way of combining extension blocks and the time-warp attack to allow both upgraded nodes and old nodes to gain the same capacity increase and see all the same transactions for validation while simultaneously slightly reducing mining centralization risk. Upgraded nodes would validate one or more extension blocks (called “forward blocks”) that provide additional block space with a centralization-reducing 15 minute average interval, but the upgraded nodes would also restrict the time stamps in legacy blocks to ensure a permanent (but limited) time warp attack increased the frequency of legacy blocks enough to allow them to include the same transactions that previously appeared in the forward blocks. This talk describes an alternative to the Schnorr signature scheme described in the MuSig paper that makes use of pairing-based cryptography, specifically an adaptation of the Boneh-Lynn-Shacham (BLS) signature scheme. Although pairing-based schemes require an additional fundamental security assumption beyond those made by both Bitcoin’s current ECDSA scheme and proposed Schnorr scheme, the authors present evidence that their scheme would produce smaller signatures in general, allow non-interactive signature aggregation, and make it possible to prove which members of the set of signers actually worked together to create a threshold signature (i.e. k-of-m signers, e.g. 2-of-3 multisig). In Bitcoin and other cryptocurrencies, scalable commitments to sets of information—such as transactions or UTXOs—are normally made using merkle trees that allow proving an element is a member of the set by generating a proof whose size and validation cost is roughly log2(n) for a set of n elements. This talk describes an alternative method based on RSA accumulators that provides potential benefits: the size of a proof is constant no matter how many elements are members of the set, and adding or removing elements from an accumulator can be efficiently batched (e.g. one update per block). Routable payment channels such as those used by Lightning Network currently use multiple opcodes from the Script language that are enforced by Bitcoin’s consensus rules. Previous work on scriptless scripts by Andrew Poelstra has suggested that some or all of the opcodes currently used could be replaced by Schnorr public keys and signatures that would be created privately (offchain) between the participants in the payment channel. Consensus rules would still require that a spending transaction have a valid signature that referenced a known public key, but none of the other security-related information would appear onchain, reducing data consumption and fees, improving privacy and fungibility, and potentially improving security. Bitcoin doesn’t currently support Schnorr signatures and no complete design for it has been proposed (although such a proposal may not be far off), so this talk describes proof-of-concept results from a partial implementation of payment channel scriptless scripts that’s compatible with Bitcoin’s current ECDSA keys and signatures. Some impressive savings are achieved in the size of scripts and witness data—savings which increase the number of channels that can be opened or closed in a block and which reduces the amount of transaction fee paid by users of Lightning Network payment channels. Schnorr signature scheme: an opt-in feature providing smaller signatures in all cases, faster validation, much smaller public key and signature data for cooperative multisigs, and easier compatibility with scriptless scripts. See Pieter Wuille’s proposed BIP. SIGHASH_NOINPUT_UNSAFE: the ability to create spends without explicitly referencing which output you want to spend. Allows creating more efficient payment channels using the Eltoo protocol that also makes it easy for each channel to support up to 150 participants. See BIP118. Fixing the time warp bug: a set of miners controlling a majority of the hash rate can currently manipulate Bitcoin’s difficulty adjustment algorithm to allow them to consistently create more than one block every ten minutes even without increasing overall hash rate. There’s at least one simple proposal to reduce the amount of manipulation possible without breaking older software or mining equipment. See the recent email thread on the Bitcoin-Dev mailing list. Explicit fees: currently fees in Bitcoin are implied by the difference between the value of the aggregated inputs and the aggregated outputs. However, the transaction could alternatively explicitly commit to the fee and allow one of the outputs to be set to the difference between the value of the aggregated inputs and the explicit fee plus all the other outputs. This could be useful for rewarding Lightning Network watchtowers that send breach remedy transactions on behalf of offline users, or it could be useful for fee bumping group transactions. We thank Andrew Poelstra, Anthony Towns, Bryan Bishop, and Pieter Wuille for providing suggestions or answering questions related to the content of this newsletter. Any remaining errors are entirely the fault of the newsletter’s author. When a miner creates a new block at the tip of the chain, he can begin working on the next block immediately—but every other miner is still working on an old block until they receive the new block, meaning their proof of work during that brief period of time is wasted (it neither increases network security nor provides the miners with financial compensation). Miners with more hash rate produce more blocks on average, so they get the head start more often and less of their proof of work is wasted. For two perfectly fair miners half a world apart, the minimum practical network delay between them is about 0.2 seconds, meaning a small miner far away from most other miners is likely to only be productive for 599.8 of the average of 600.0 seconds (ten minutes) between blocks. A 0.2/600.0 loss of efficiency (0.03%) is probably acceptable, but if the block frequency were increased, the loss of efficiency would increase also: at one block per minute, the loss of efficiency would be 0.33%; at one block per six seconds, 3.33%. 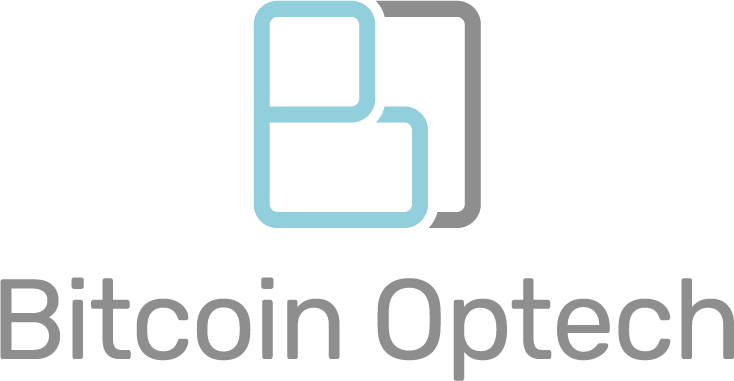 Copyright © 2018 Bitcoin Optech, All rights reserved.